Wombat Theatre Co. Presents Shakespeare's Macbeth in Long Island City! 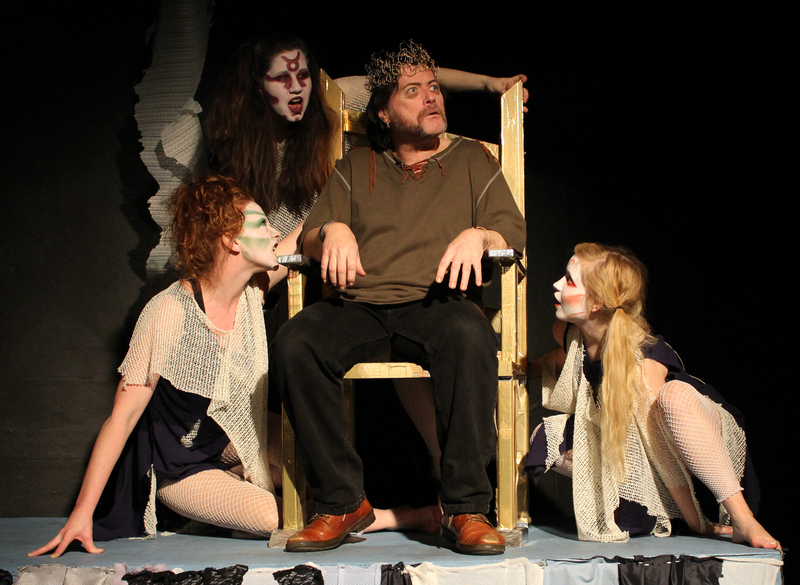 Wombat Theatre Co. Presents Shakespeare’s Macbeth! This is one production of Macbeth you don’t want to miss! Fans of Shakespeare’s cursed Scottish play are in for a treat with Wombat Theatre Co.’s presentation of Macbeth at the Secret Theatre in Long Island City. The production opened Thursday, April 30th and will run until May 10th. Tickets can be purchased online or at the door on the day of each performance. Despite the heavy subject matter, the likable and engaging Wombat cast pulls the audience in and adds a fresh take on the Shakespeare classic. The production is anchored by the powerhouse performances of David Lawton, who takes on the complicated Macbeth, and Kristen Tomanocy, who does double duty as Lady Macbeth and Lady Macduff. Lawton gives Macbeth a rugged, gritty feel, while Tomanocy commands the stage with the perfect combination of composure and insanity. 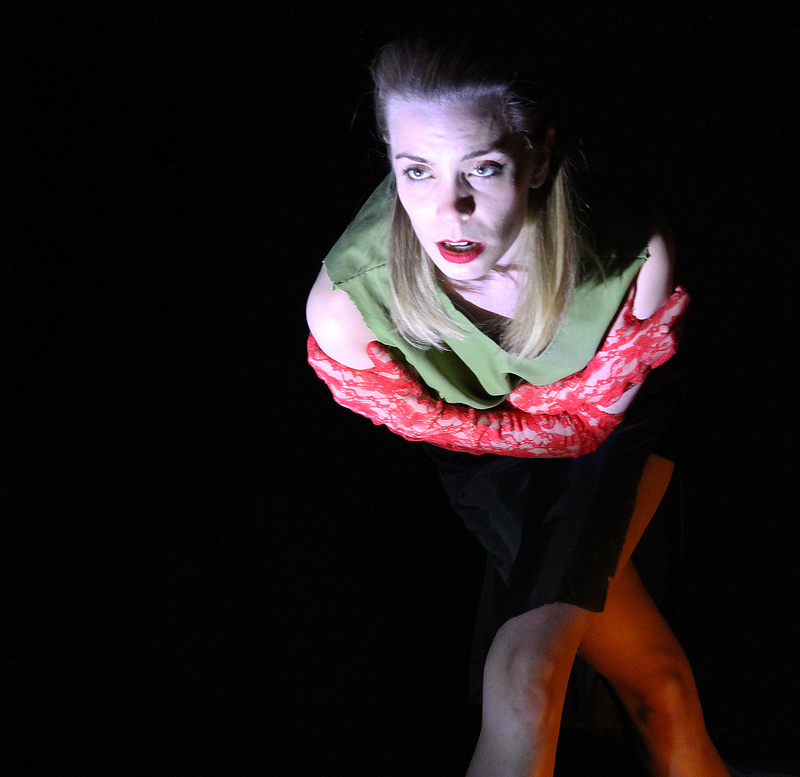 Kristen Tomanocy gives a gripping performance as Lady Macbeth. The Secret Theater provides a fitting space for intimate production. It seats less than one hundred patrons, resulting in every audience member feeling like part of the action. If you’re looking to experience Shakespeare up close, this is the spot for you! The Secret Theatre is located at 44-02 23rd Street in Long Island City. For more information on the Wombat Theatre Co., check out their Website, Facebook, Twitter, and Instagram. For more information on the Secret Theatre, take a look at their Website, Facebook, and Twitter. If you’re looking for a Macbeth experience unlike any other, get yourself to the Secret Theater!